The expansion of LA’s Metro Rail Gold Line is well underway with a stunning new piece of infrastructure: The Gold Line Bridge. 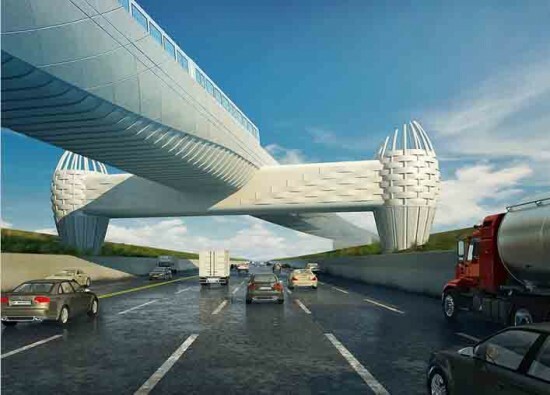 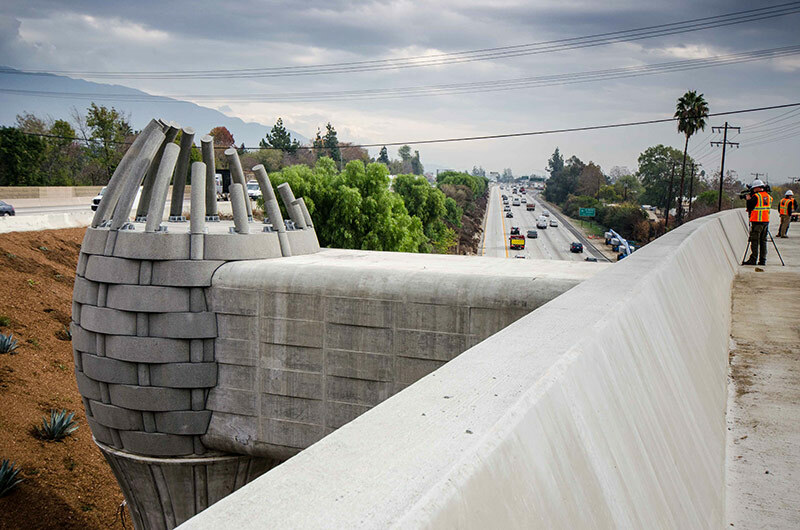 Completed last week, the 584-foot dual-track bridge, stretching over the eastbound lanes of the I-210 Freeway, will provide a light rail connection between the existing Sierra Madre Villa Station in Pasadena and Azusa’s future Arcadia Station. 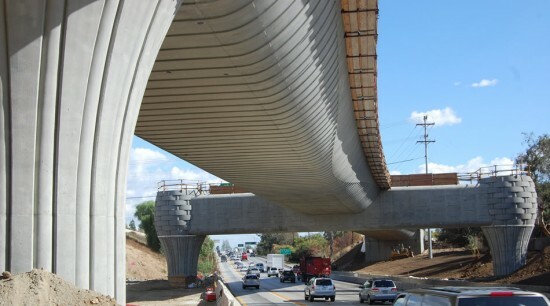 The rail line itself is scheduled for completion in 2014. 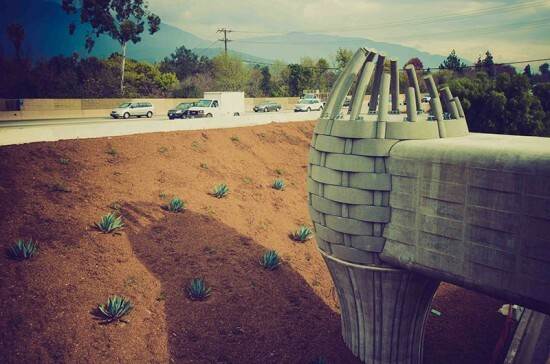 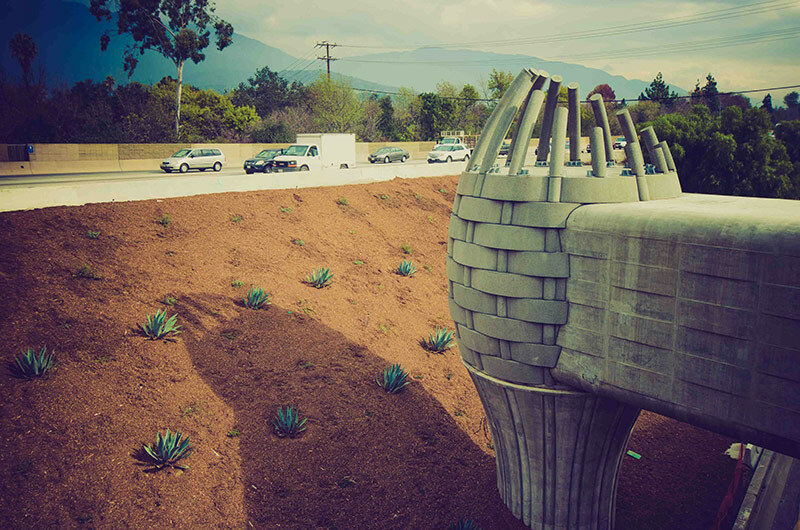 Made from steel reinforced concrete with added quartz, mica crystals, and mirrored glass, the monochromatic, abstract design, conceived by artist Andrew Leicester, pays homage to the region’s historic American Indian basket-weaving tradition and includes a carriageway and a post-and-lintel support beam system. 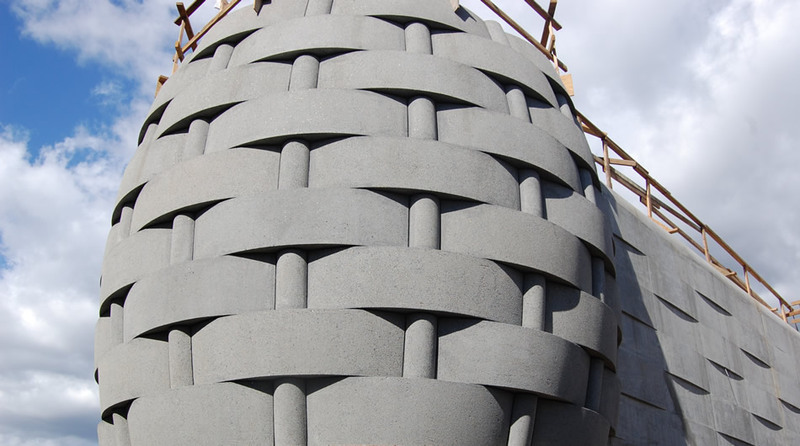 The 25-foot baskets adorning each of the posts, “metaphorically represent the Native Americans of the region…and pay tribute to the iconic sculptural traditions of Route 66,” wrote Leicester. 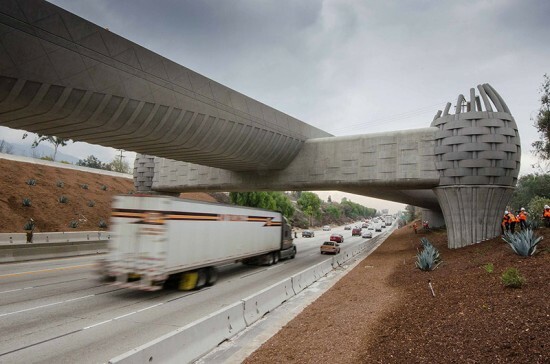 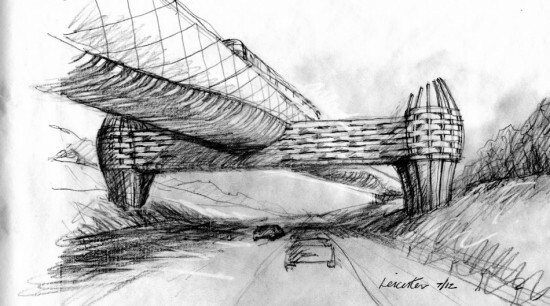 The bridge is is also designed to withstand significant earthquakes. 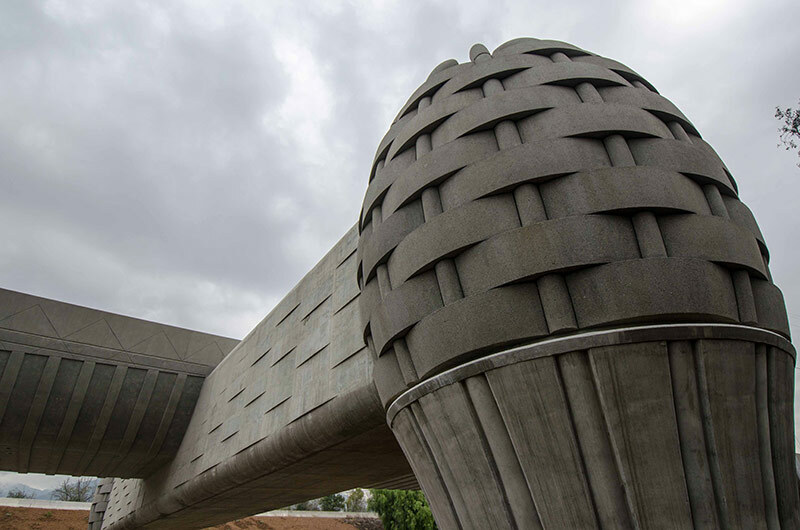 Equipped with “Time Domain Reflectometry” technology and an electrical feedback smart column technology system, engineers can initially assess damage following a tremor. 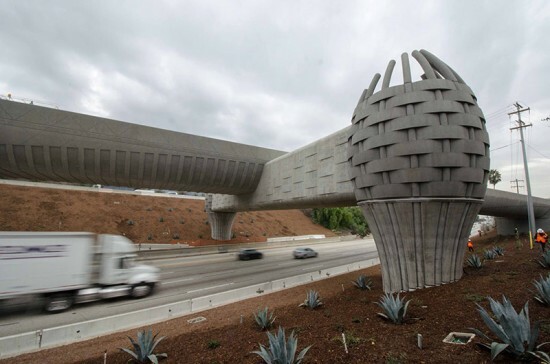 The structure replaces one removed after the 1994 Northridge Earthquake and is truly an exception to the norm of form follows function. The 11.5-mile Foothill Extension project, overseen by the Metro Gold Line Foothill Extension Construction Authority, is being built by Skanska USA and their subcontractor AECOM.